Please Note: All Special Orders will ship approximately 2 weeks after order date. 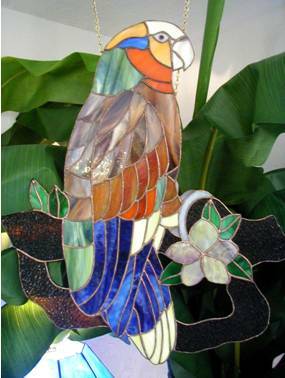 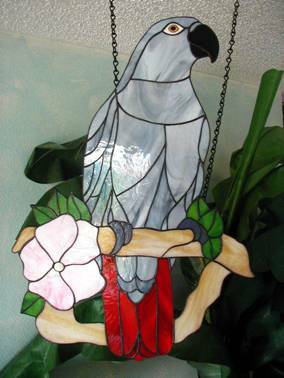 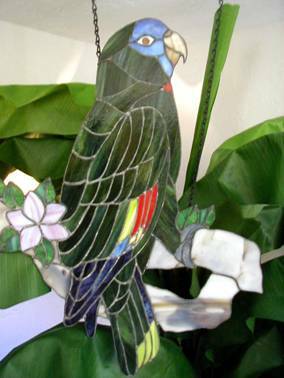 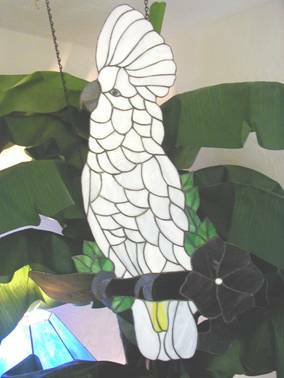 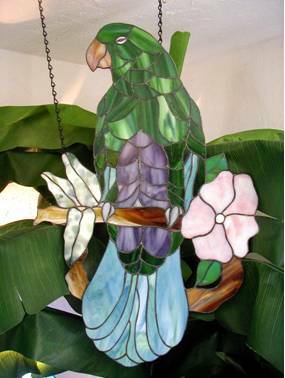 22" x 19" $425.00 Our parrots are done as true to color as stained glass will allow. 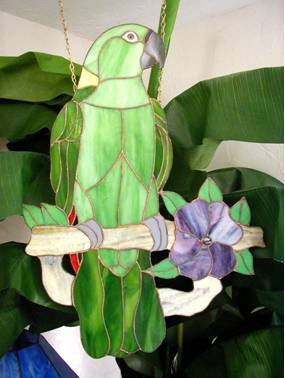 The flowers and branches will vary in color to enhance the birds image. 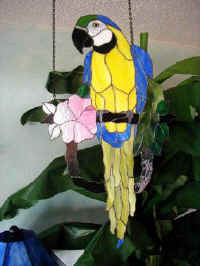 Each bird is suspended from two attractive chains.